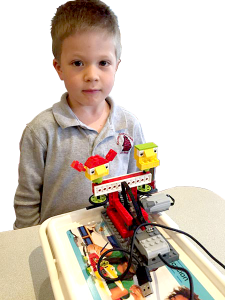 Lego Robotics is an exciting, new after school enrichment program for our Kindergarten and Elementary school age children. The students will be working with the LEGOEducation We Do Construction Set. This set enables students to build LEGO models that attach to the LEGO USB Hub and then control the models using computer programs. Using these materials, students are encouraged to build and program a working model and then use the model for different purposes, depending upon the theme of the activity and its focused subject matter in science, technology, mathematics, and language. Geography, astronomy, personal safety and decision making, business, earth science, mathematics are some of the subjects presented in our FasTracKids program. When we discovered FasTracKids about 10 years ago, we were seriously impressed by the fun, interactive approach and the way the subjects are tied together to make it possible for a child to see the connections and interactions between different areas of knowledge. 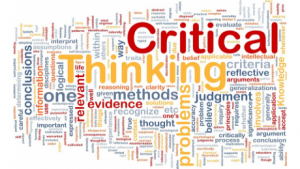 By making these cross-applications apparent to a child, we give him the tools to use a very broad base of experience and knowledge to solve seemingly unrelated problems. Feel free to look at the FasTracKids website.http://www.fastrackids.com/ We only offer the core program, not FasTrackTots or FasTrackSign. This year we are offering and after school program that focuses on building critical thinking skills. Most of the program is primarily workbook based and teaches beyond most state and common core standards. In combination with the Montessori program it will give your child the skills needed to succeed academically in this challenging and competitive world.